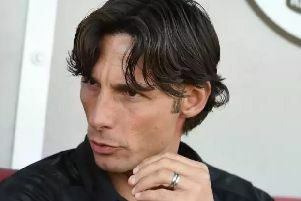 Crawley Town will announce their new manager this morning - and it's expected to be Italian Gabriele Cioffi. The club tweeted at 9.36am saying: "We might have some news for you," with a picture of a sign saying Manager's Changing. And general manager Bruce Talbot tweeted: "It's going to be a busy day" with an Italian flag. It is expected to be Italian Cioffi, who has led the betting dds in the last couple of days. The 42-year-old was Gianfranco Zola's first team coach at Brimingham City. He played for a number of Italian clubs, including Ascoli and Torino, in a career that spanned 1992 to 2010.